Monkey Baa Theatre Company has welcomed Libbie Doherty as its new Chairperson. Libbie is the Acting Head of Children’s Content at the ABC and brings extensive experience as a creative leader for young people. Monkey Baa’s Creative Directors, Eva Di Cesare and Sandie Eldridge said Libbie’s appointment will bolster Monkey Baa’s position as Australia’s leading professional theatre company for young people: “We are thrilled to have Libbie as our new Chair. She comes to us with such incredible experience in the delivery of outstanding work for young people at a time when we are really hitting our stride as a company. We look forward to taking Monkey Baa toward exciting new adventures with Libbie,” Ms Di Cesare said. Libbie joins the company just as Possum Magic, Monkey Baa’s brand-new adaptation of the beloved book, embarks on a national tour of over 60 theatres. 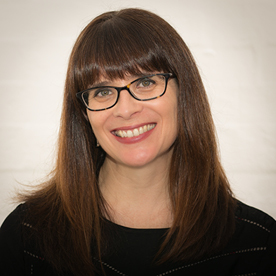 As Acting Head of Children’s Content at ABC, Libbie has oversight of 380 hours of internally-produced and commissioned content across their two dedicated children’s channels, ABCME (6-12yrs) and ABC KIDS (2-6yrs). As a member of the ABC’s TV & Radio leadership team, Libbie contributes to the ABC’s audiences, production and business strategy by building quality and distinctive programming, with local and international financing partners. With 55+ internal staff in Sydney and Melbourne, Libbie sets the bar for creative excellence and innovation and nurtures teams to deliver ambitious, unique and compelling stories.